My employment began at AC in Springfield just before the plan was changed to Fiatallis. I just got home from active duty in the Air Force, and it was my first stop for a job the next week. I still think of the jobs I did there, and I think I can even remember how to put some of the assemblies together. 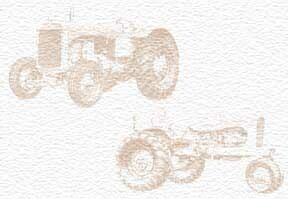 I remember the huge inventory at the end of '73 for the changeover from AC to Fiat (Allis-Chalmers to Fiatallis). At one time or another, like so many others in the Springfield area, practically everyone in my family had worked at Allis Chalmers. My dad, mom, grandpa, and several uncles. My grandpa, Oliver Meyers was there from near the very beginning, and retired in 1967. So many stories! There are probably still a few hundred folks left in the Springfield area (in 2006)that had worked there at some time. I still see a handful of them. Every time I pass by the old plant location I think of the days that it was such a booming place, filled with people, equipment, rail cars,forklifts, parts bins, noise, and flashes through the windows from welding. The plant was torn down and the location now is a business park with several buildings for small businesses, government buildings, and some strip mall and fast food chain stores.